With a patterned lace yoke and sleeves, this black Verpass top makes a stylish addition to your wardrobe. 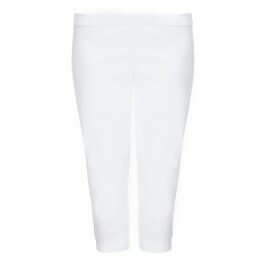 Team with cropped white trousers and ballet flats for a polished summer look. Black t-shirt with lace yoke and sleeves. 94% Viscose, 6% Elastane. Delicate Machine Wash or Dry Clean.